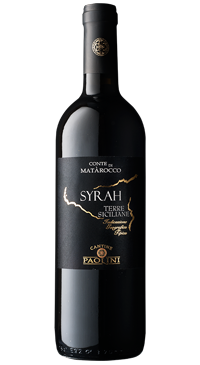 Cantine Paolini is a cooporative winemaking venture that was established in the 1960’s in the coastal town of Marsala, Sicily. Since their first harvest in 1972, this small group of winegrowers has expanded to over 1000 growers and winemakers. Their vineyards extend over 3,000 hectares on the eastern and southern slopes of the Sicilian municipalities of Marsala, Trapani, Salemi and Mazara del Vallo. This is a fresh and fruit forward style of Syrah. The wine is fermented and rests in stainless steel. Aromas of red fruit and spices, medium bodied and elegant tannins.